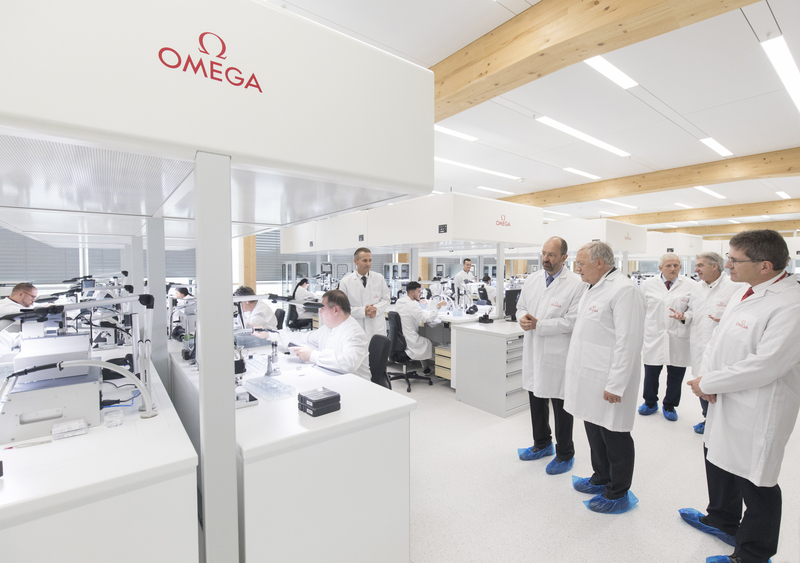 The Swiss watchmaker Omega has officially inaugurated a new production building in Bienne, Switzerland. This important event was honored by the CEO of Swatch Group, Mr. Nick Hayek; the President and CEO of OMEGA, Raynald Aeschlimann; Head of the Federal Department of Economic Affairs, Education & Research (EAER), Mr. Johann N. Schneider-Ammann; and by the award-winning Japanese architect, Shigeru Ban. 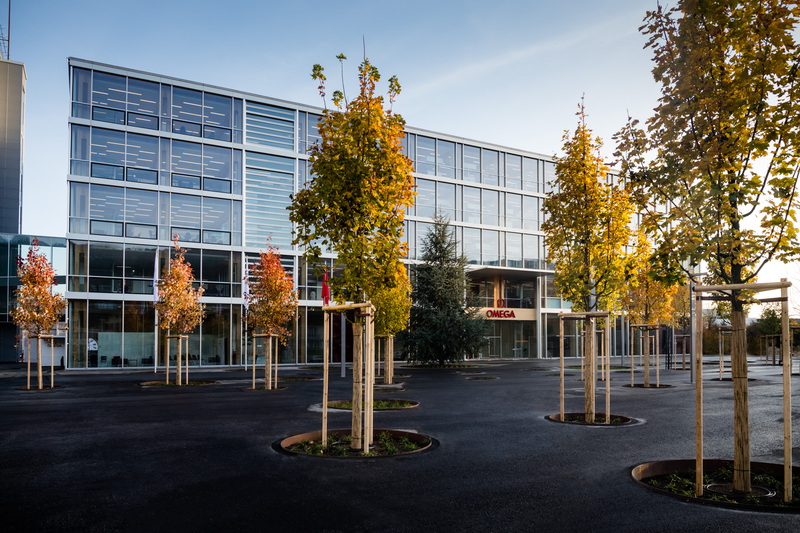 The building is truly impressive, an eco-friendly masterpiece built entirely from Swiss spruce and concrete and represents the industry’s most cutting-edge facility for watch assembly, training and quality control. In order to ensure the high level of quality and productivity, all steps, including watch assembly, bracelets, and shipping, as well as stock and logistics, will now be completed inside the new building. So the main characteristic of the new working space is the efficiency. In addition to this, it has been designed also for training purposes, enabling Omega to sharpen and constantly improve the skills of the staff inside. 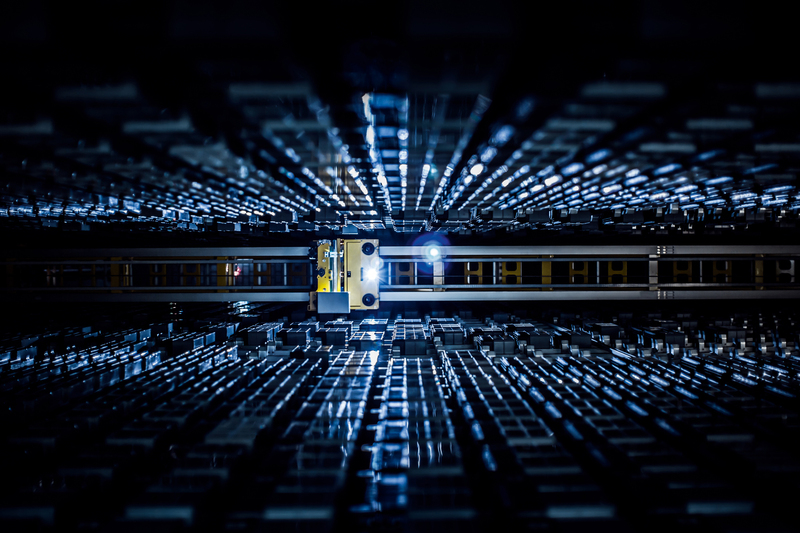 Another interesting fact is that the new Omega production building has a huge and fully automated stock with a storage capacity of 30 000 boxes. 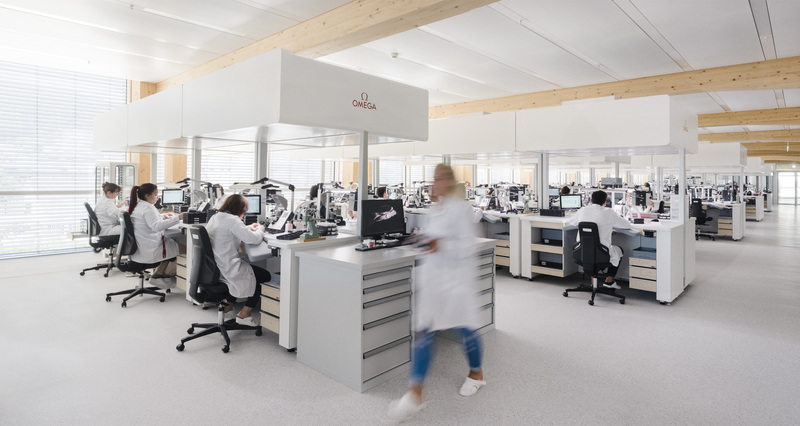 And last, but not least, the new factory is the home for the quality and technical control process, including the METAS testing for Master Chronometer certification. 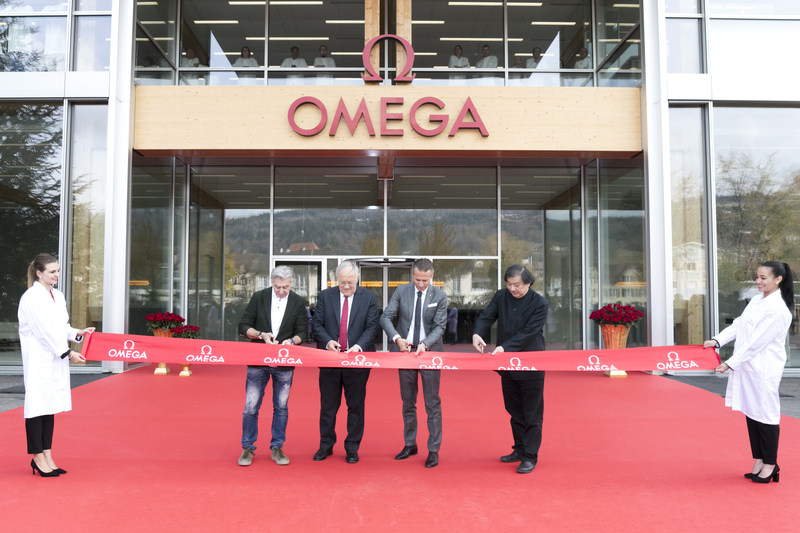 An important step for Omega, the Swiss brand will now continue to fulfill the highest standards in the watchmaking industry and to meet the demands of the new generation of watch buyers.